BORN in Woking in 1903, Geoffrey Trevor-Wilson was one of six children of Harry and Lilian Trevor-Wilson. Harry was chairman of Woking Council, chairman of the town’s magistrates and Barclays Bank manager. However, Geoffrey had a fascinating career of his own as a spy with MI6. 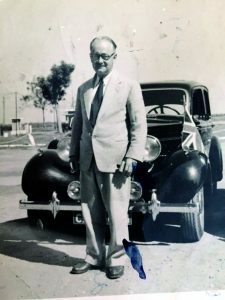 “I was always brought up to believe that dear Uncle Geoffrey worked abroad in the diplomatic service for a period of time after the Second World War.